The ever-changing search engine result page within Google has another revelation. 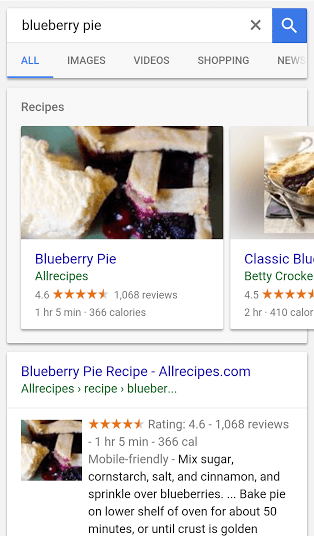 When making food-related searches, Google is showing image thumbnails on the main search result page. Google has been testing this feature out one way or another for the past couple of months. This update doesn’t seem to be related to the new rich cards feature available for both recipes and movies. The image thumbnails seem to be pulling in from websites that aren’t even recipe sites.